The Museum Building is a wood frame structure, built in 1951, as a fellowship hall by the First Methodist Church. They built a new church and fellowship hall in 1958. This building then became an office building for Dr. Del Zingro M.D., Dr. Shaw M.D., and then by Dr. Harrison, a dentist. 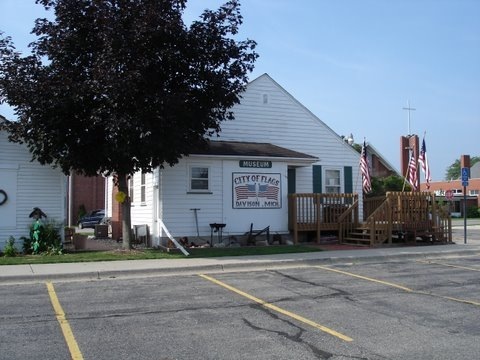 The City of Davison acquired the building and the Davison Jaycees met here until 1957. 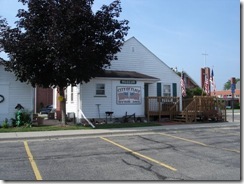 Since 1989, the City is renting the building to the Davison Historical Society. The building was remodeled into its present configuration by GM Jobs Bank workers. The Museum Volunteers renovated the basement during the winter of 2001 and 2002. The new displays were opened in May of 2002. Thanks to a gift from Konieczka Heating and Cooling Company of Davison, the Museum was air conditioned in May of 2002. The volunteers will be willing to answer any of your questions and give you a guided tour.